The Charlotte Center for Cosmetic Dentistry is on the leading edge when it comes to providing technologically advanced dental services in a relaxing, spa-like atmosphere. From digital impressions and custom in-office restorations to sleep apnea screening and 3D treatment planning, the North Carolina dental practice is well-equipped to provide comprehensive dental and orthodontic care to achieve amazing results. One of the latest additions to Dr. Broome's office includes the CEREC system, which can create realistic 3D models in a matter of minutes, as well as provide digital impressions for Invisalign® devices, and fabricate custom ceramic restoration devices. Patients will also have the added benefit of being able to receive precise 3D scans with the Sirona Galileos Comfort Plus Digital 3D Cone Beam CT scanner. Each of these advanced scanning devices eliminates the need for patients to schedule an additional appointment at a specialist's office. The Charlotte Center for Cosmetic Dentistry will also be the first and only dental office in North Carolina to offer the upgraded 3D imaging capabilities of the Galileos Function. The unit allows Dr. Broome and his staff to see jaw movements in 3D to plan extremely complex cases digitally for the patient to see and understand prior to treatment. Dr. Broome and his staff are also proud to have an in-office lab, milling unit, and porcelain oven to design and fabricate ceramic crowns, bridge, and abutments without having to wait on an outside facility. The turn around for ceramic and porcelain restorations and implants is shorter than ever, cutting down on the number of appointments and amount of time each patient has to spend in the dentist's chair. In-office dental implants will be available by Fall 2016. “For patients who are particularly overwhelmed or anxious about the process, we will also have an in-office anesthesia specialist to administer appropriate care, particularly during long-duration or complex cases,” said Dr. Broome. “In April of this year, we will also offer IV sedation to help relax patients who may be struggling with dental anxiety. Dr. Broome has also added sleep apnea screening and treatment to the list of comprehensive services available at his office. Combining the Galileos 3D scan with the Intra-oral CEREC Omnicam scan, Dr. Broome can create a 3D image that can be used to create a custome oral appliance that helps increase airway capacity for patients who have been diagnosed with sleep apnea. 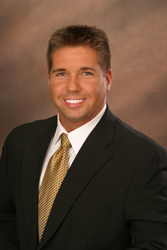 Dr. Patrick J. Broome, DMD, is founder of Charlotte Center for Cosmetic Dentistry in Charlotte, North Carolina. Dr. Broome has extensive postgraduate education and experience in cosmetic and aesthetic dentistry and specializes in dental implants, teeth whitening, porcelain veneers, inlays/onlays, dental crowns, dental bridges, Invisalign®, and total smile makeovers in Charlotte. Dr. Broome offers laser dentistry and sedation dentistry at no additional charge to his patients. He also serves as a clinical instructor for the Southeast Regional Training Center for the Biolase WaterlaseMD laser system, the most advanced laser dentistry system currently available to dentists. Learn more at http://destinationsmile.com/.